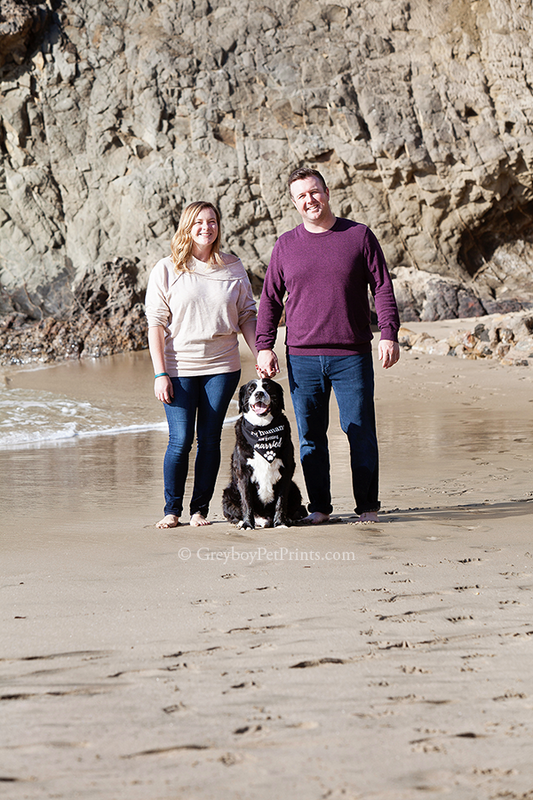 OC Beach Photos with Dog Announcing An Engagement! 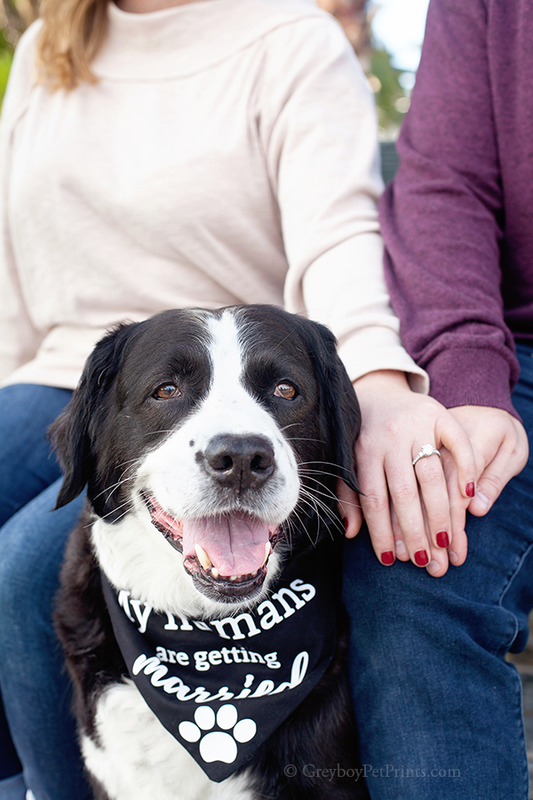 I received a call from a dog dad back in November that found our pet photography website and wanted to gift his fiancé with some OC beach photos with dog, Bones, who looks like a Bernese mix but is a Spaniel mix! I wrapped up a gift certificate and sent it along all wrapped and pretty for him to give her for her birthday. 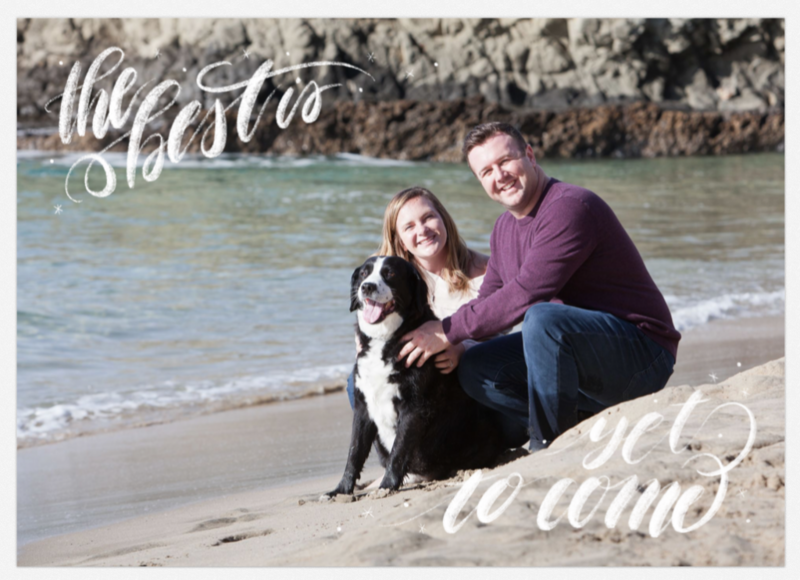 I thought the OC beach photos WITH dog were such a thoughtful surprise! 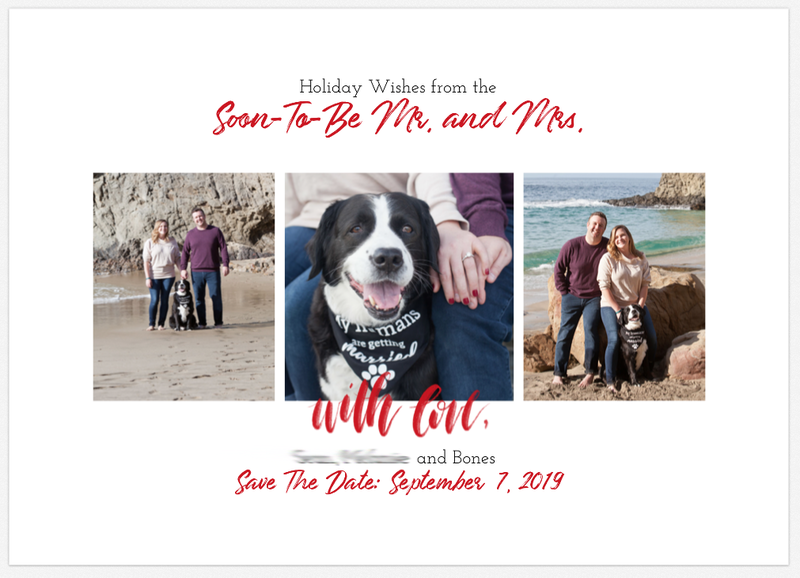 When we met up at Laguna Beach in Orange County, CA, I discovered that his fiance had a brilliant idea to have Bones announce their engagement for their holiday cards! Fun idea, right?! 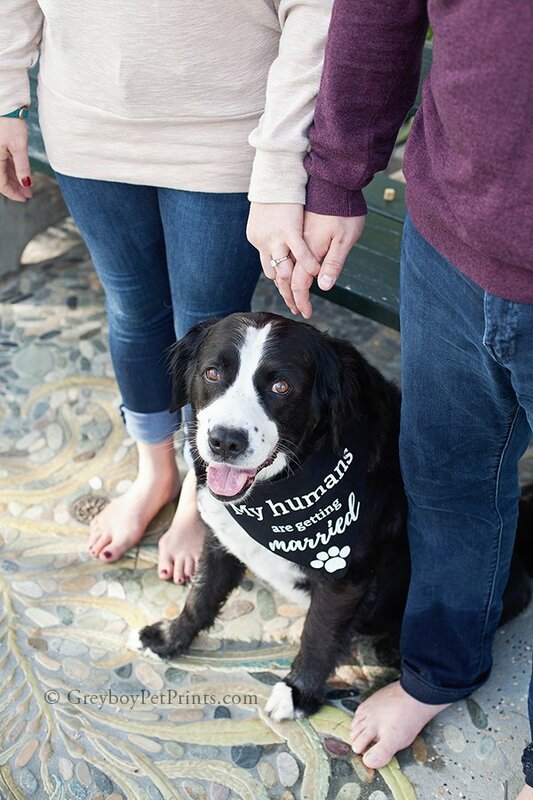 So, she brought a bandana that said “My Humans Are Getting Married” and we made sure to get some photos clearly showing that message they wanted to convey. We also got some fun shots of the three of them just strolling the sandy beach with Bones in the middle of this romance. I learned that they adopted Bones when they moved to CA six years ago. They rescued him and helped him overcome his fearfulness. 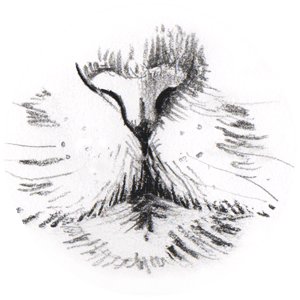 This dog was SO relaxed and pleasant – you’d never know he had fear issues in his past! What a lucky buddy to be adopted into a loving home with patience to train him and share trust. Of course, I have to show their holiday card – front and back (with names blocked out for privacy). Great idea, right?! I heard it was a big hit! 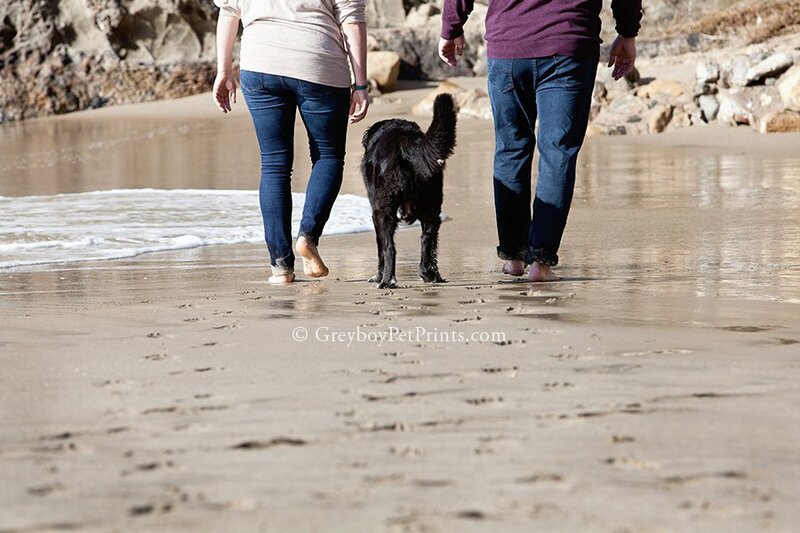 For More Info on Dog Photo Sessions at your own location, visit the Greyboy Pet Prints website HERE. 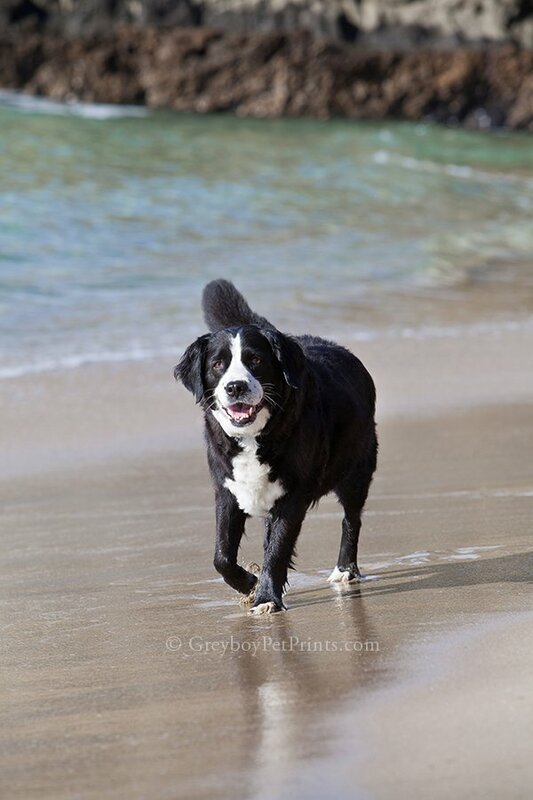 Don't miss out on helpful info for pet parents + Greyboy specials! 2-4 emails per month. Unsubscribe anytime.